The Organisation for Social Change, Awareness and Responsibility (OSCAR) was founded in 2006 to provide high-quality football coaching to underprivileged children in Mumbai and across different areas of India. Their mission is to use sports to teach life skills, positive values and enable active citizenship, and to make children and youth aware of their rights and their responsibilities within society or community. During the partnership, Atma and OSCAR completed 34 projects to strengthen six organisational development areas (Strategy, Human Resources, Fundraising, Marketing, Monitoring & Evaluation, and Programmes). Four additional projects were also delivered and focused on Finance, Administration and Governance. 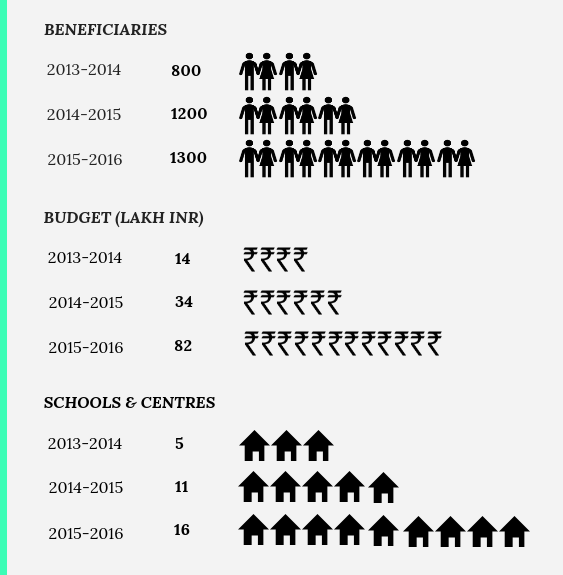 In addition, Atma also provided additional support in terms of Budgeting, creating appropriate Filling systems and introducing Ashok and Suraj to sound Governance processes. Since the Atma Partnership began, the OSCAR Foundation has more than doubled their annual operational budget and has been able to expand their programs’ reach. They now serve 20% more beneficiaries and have opened 3 additional centres. Atma has been ecstatic to witness OSCAR’s continued growth and we look forward to seeing where they are able to go next. Over the course of the partnership, OSCAR increased its beneficiary reach 4 times and operates in 3 times more centres & communities. Its budget was multiplied by 6 and 40 staff members are now part of the organisation. Overall, OSCAR was able to steer strong and consistent growth, suggesting that its model has high potential for wide and quality-driven replication.